The latest statistics about the growth and reach of online video offer convincing proof of its potential for marketing purposes. According to a recent infographic from HighQ.com, “2015: The year of video marketing,” 78% of people say they watch online videos weekly, and 55% watch them daily. Of these video viewers, 65% watch more than three-quarters of a video once they’ve started. Think online video is big now? Just wait. Experts predict that by 2018, nearly 80% of overall consumer Internet traffic will involve online video. And video already rules the mobile world: Half of mobile traffic is now made up of online video, and that percentage is sure to rise substantially as mobile becomes the predominant means of accessing the Internet. Ultimately, although online video is something the world seemingly can’t get enough of, succeeding at video marketing isn’t as simple as producing just any video, plopping it on your dealership’s website or on YouTube, and then waiting for business to roll in. As with any type of advertising, the cream will always rise to the top in video marketing: The most creative, informative, compelling, and memorable videos are the ones that will get the results. In other words, the traditional rules for marketing success still apply. For example, as Brett Stevenson points out in his From the Publisher column, you still have to remember the fundamental rule that you three seconds to grab the viewers’ attention, or you will likely lose them entirely. Some might think that this basic advertising rule can be bypassed in the online video context with pre-roll commercials—videos a viewer has to watch to get to their intended, non-advertisement video—but pre-rolls often can be clicked away from in five seconds. So it’s best to always mind the fundamentals, regardless of the medium. Like any relatively new medium, there are unique challenges and tricks to video marketing that our interview with three industry experts will discuss later in this article. The bottom line, however, is that to succeed in online video marketing, you have to be as smart, resourceful, and thorough as you do with any other form of marketing. Dealer Marketing Magazine has assembled three knowledgeable industry and online marketing analysts to take a look at the booming world of video marketing, and discuss ways auto dealers can better take advantage of this exciting medium. We’re fortunate to be joined by the CEO of izmocars, Tej Soni, and the product manager of Netsertive, Benson George. And we’re pleased to welcome back a recent contributing author to DMM, Jeremy Anspach, CEO of PureCars. Thank you all for sharing your time, insight, and opinions. Dealer Marketing Magazine: What is your take on the state of video marketing at new car dealerships in 2015—is it being sufficiently utilized by dealers, and if not, why? Tej Soni: Video has been adopted by dealerships in many cases. The main issue remains not just content creation, but the quality of the production. Just when dealers had learnt how to take 36 pictures of each car and thought that they were done, along comes video and shakes up their world. It’s a new way to acquire users, and so many spend time on their mobile phones watching video. A question many dealerships are grappling with is the return on investment and exactly how they should go about providing videos on their websites. It’s not an easy answer, and the industry offerings are not mature enough in terms of servicing all the needs of dealerships. So it will take some more time before this becomes mainstream. Benson George: Video marketing has two components—content videos and video ads. The key difference between the two is that content videos are used after a viewer has expressed interest in a product and has already visited a dealer’s site, Facebook page, or YouTube page. Video advertising, however, sits earlier in the purchase/sales funnel, and is designed to pique a viewer’s interest andultimately drive him or her to a dealer’s site. As an example, imagine you’re on YouTube, and you see a video ad that runs before [aka, pre-roll] the video you wanted to watch. If you click the video ad, you’re taken to a dealer’s landing page, where you can often find more detailed videos or information on the product you have expressed interest in. Overall, video marketing remains largely underutilized by most new car dealers, especially as it relates to video advertising. Most have a few videos up on their site, YouTube page, or Facebook page, but they don’t have the dedicated resources available to keep updating their sites with fresh video content. In addition, few dealers are using video in an advertising capacity to drive viewers to their site. It’s early though—we’re starting to see more dealers “dip their toes” in digital video marketing, and finding success. I fully expect this trend to continue and many more dealers to participate as the understanding around the importance of video marketing continues to grow. Jeremy Anspach: Dealers are getting better at integrating video into their digital marketing efforts, but there is always room for improvement. Video for research purposes has increased 20 times in the last four years, so dealers would be wise to position themselves as valued resources to potential customers. Content should be informative and less promotional in order to be seen as a trusted utility for in-market shoppers. When shoppers feel better informed, they will be more comfortable pulling the trigger on a major purchase and will have developed trust in your dealership and loyalty through your content. Lexus, for example, launched 1,000 unique video ads on Facebook in January served to users based on their specific tastes and interests. While it was a tough campaign to execute, Lexus provided the ideal experience for the shopper. DMM: What aspects of dealership operations (inventory, service, etc.) 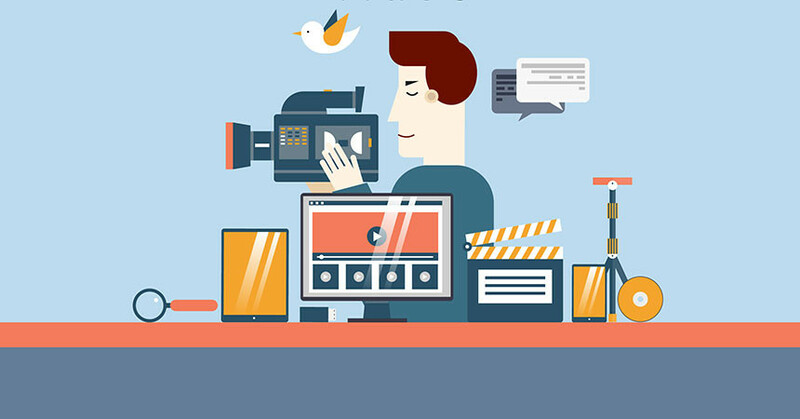 benefit the most from presenting information to potential customers in video format, and why? TS: We think that the most important applications for video are the new car showroom and service bay. There is enough data to show that the “discovery” process is the most important part of car buying. Inventory videos, while nice, actually limit you to the inventory on hand and are cumbersome to produce. On the other hand, a well-produced new vehicle “showroom” can actually inform and engage the user. It can be linked to inventory listing, but it’s easy to deploy and manage. The other great application is service bay. Owners just love to see what is happening to their vehicle. Studies show that the more they know about exactly what is being done to their car during repair, the higher the CSI. What better way to build trust than to show them a video of their car being repaired? BG: Sales—both new and pre-owned—and service departments both stand to benefit from video marketing. At Netsertive, we have dealers that run video ads that feature both new car sales promotions and service specials. They both perform incredibly well. There’s a power that resides within video as a medium to captivate the viewer and really convey your message in a compelling way to get potential customers to take action. JA: The most useful video content informs the shopper of a vehicle’s specific features. Content that highlights test drives, features, consumer reviews, and safety tests are what shoppers appreciate most. The main thing to remember is that consumers want video content outside of ads. Everyone benefits when content serves as a utility for the shopper—the sales team works with an informed buyer with good questions while the shopper feels empowered enough to visit the lot. DMM: What steps (publicity via social media, YouTube, etc.) are the most effective to get the word out to potential customers about a dealership’s videos? 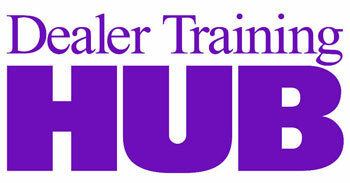 TS: Dealers should use YouTube because Google gives YouTube videos high rankings in search inquiries. Additionally, they should use their own website because the customer is already there and looking. Now the main concern is conversion. Dealers will want to use the video to increase conversion—that’s the main point about video being a sales tool. For a vehicle promotion or brand new vehicle, that can become an opportunity for dealers to increase traffic. BG: If the goal is to get the word out to potential customers, the focus should be on reaching the largest possible audience through video advertising, which is designed to drive traffic to your sites. When you think along the lines of, “How can I best get my message out to the most relevant people,” the limitations of the reach associated with your YouTube and Facebook pages are clear. There’s no doubt they’re effective if an interested viewer is already there, but your focus should squarely be on getting them there in the first place. JA: Social media is the most cost-effective and farthest-reaching method for a dealer looking to show off their videos—84% of auto shoppers are on Facebook and 25% of car buyers use social media to discuss or communicate a recent purchase experience. Promoting your videos on social media makes your content more shareable and easy to fit within conversations already happening around car purchases. DMM: In terms of video to display inventory, what are all the elements a walk-around video must contain to be effective? TS: This is one area with the most work but least returns. Creating videos of each and every vehicle in inventory with a proper script, high production values, and ensuring it is effective is a lot of work. A dealer’s inventory is changing constantly and that means a lot more ongoing effort. The main issue is not video production—again, anyone can put a video together. Dealers should ask themselves “what does the buyer need when they are viewing inventory?” When a user is looking at a car, often times they want to inspect it, zoom in on the pictures, engage in the 360 interior pano, and see the details A video will not deliver the interactivity that will compel the user to click and submit a lead. The best option for inventory is to create an interactive showroom like the one in Carvana. That serves the needs better than just a video. And remember, a poorly produced video can actually make you lose the sale. Videos are great sales tool for buyers who are interested in a vehicle, but haven’t made a decision to buy a very specific model, color, and trim package. A video can be the difference between someone who is interested in a vehicle, and then takes the next step after watching the video to explore a car more intimately—clicking on all the photos, etc., of a car in inventory. A genuine lead. But many buyers don’t have the time or attention span to navigate around just to learn “am I interested in this vehicle or not.” You can’t assume a buyer has researched every website, automotive publication, and more. The video can be the difference between generating more interest and moving them to the next step in lead generation process. BG: A video walk-around is almost a “virtual salesperson.” It’s not so much the long list of features that matter, but rather, how does the owner/driver benefit from the feature? How does this feature solve a particular problem for the owner/driver? JA: A walk-around video should have many of the same characteristics as the photos included in your VDP. Give the shopper a complete view of the exterior and highlight any additional reconditioning features. For the vehicle’s interior, try to give the shopper a sense of space. How compact or spacious does it feel? If seats move, show the different configurations possible to give the shopper a complete understanding of the model’s capabilities. Car shoppers today only visit 1.4 lots before they purchase, so the bulk of their research is done online. The closer your video gets to a tactical experience, the more likely customers are to visit the lot. DMM: What technical and/or bandwidth issues do dealers who haven’t yet taken advantage of video on their site need to consider before starting? TS: You need a CDN [content delivery network], a good player, and video management platform, and finding a good supplier for this will ensure the best chance at conversion. Of course, the easiest is to host [the videos] on YouTube, as it gives all the features you need, but can appear less professional as a result. BG: Very little—the video marketing industry and supporting technology has evolved very quickly to meet the demand that’s out there. I would say that technology nowadays is capable of supporting most dealers’ needs. This includes even smaller, budget-constrained dealers that are hesitant to produce video content or video ads. There are good solutions out there to accommodate most dealers’ needs, regardless of technical or bandwidth constraints. JA: Any new marketing effort, whether that be video or otherwise, requires a dedicated person or team to make sure the project is properly nurtured. Videos are great assets, but they can’t stand alone. They need social posts, a landing page, and constant updating. If a dealer doesn’t have available staff to handle content creation, then the interested consumer will be left wanting and seek out other channels for resources. DMM: What advancements in auto dealership video marketing do you expect to see in the coming years? TS: We think that this a growing area for content creation. There will be production companies who will specialize in content creation and distribution. One great application is creation of real-user video testimonials. These will be amazing in connecting prospective buyers to actual buyers with a positive outcome. We think this is an unexplored area for dealerships and, in fact, for all retail businesses. With the advancements in VR [virtual reality], this will be another area for content creation and distribution. Again, it’s not hard to create VR content. But like video, it requires thought, planning, and vision to create compelling content. BG: I think there will be a move towards more engagement, as there is within the advertising/marketing space in general. There are already a few of these types of ads out there, an example of which would be a lightbox ad. A lightbox ad is where a viewer would see a video ad, and in hovering over it, it would expand to show more information about the product featured within. This is just an example of one ad type that fits this mold—the key takeaway is that the movement is toward increased engagement. JA: Dealer success with mobile video isn’t universal or consistent. Mobile videos may not be properly formatted, properly embedded on dealers’ sites, or may not load quickly enough to capture consumers. Mobile video is no longer the Wild West, but dealers are far from providing a consistent experience. At the dealership, augmented reality may someday supplement the salesperson and make his or her job easier. For example, consumers may be able to point their phone at a given car and see pop-up features or videos offering more detail about the car. Regardless of new technology, dealers should place equal emphasis on vehicle appearance and details in videos. How much success has your dealership had with video marketing, and what other aspects of the topic would you like to read about? Share your experiences, pro or con, and your comments with Dealer Marketing Magazine to help us plan future coverage of the subject. Please share your thoughts, comments, and questions with us via our Twitter account (@DealerMarketing) or by email to kurt@dealermarketing.com.